Reach across the ages. You never know what might happen. 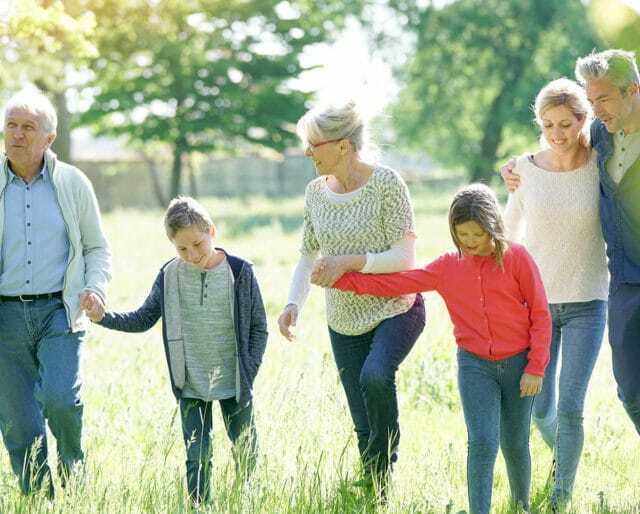 The Intergenerational Foundation launched Intergeneration Month, held each September, to connect generations and to prompt folks from varying age groups to befriend and learn from each other. Intergeneration Month is endorsed by such groups as the American Library Association and American Association of Museums. Frenchwoman Jean Calment passed away at the age of 122 years and 165 days. She's widely believed to have had the longest lifespan of any person in history. As we get older, we become less mobile and thus more isolated. Call your local rest or retirement home and find out if there are ways you can connect with elderly residents through volunteering or just offering friendship. Kids say the darndest things, but they can also teach us some things. Big Brothers programs offer opportunities to connect with younger generations while helping at-risk kids navigate the tricky territory of their lives. This also might land you a lifelong friend. If you're lucky enough to have parents or grandparents still alive, make it a point to connect and communicate them with more frequently. Offer to cook them dinner or to step out with them for a glass of wine. Don't take them for granted. ​Older generations tend to value face-to-face communication while millennials prefer text or instant messaging. In order for successful communication to happen both sides need to make compromises about how they'll come together. ​Especially in group settings, kick off conversations with icebreakers that approach talking about generational difference with a sense of humor. ​The more you know someone, the more ways you might discover to connect with them. Beneficial relationships are often based on shared interests. When we talk to each other we learn from each other. Intergeneration Month spurs conversations that can lead to a better understanding of history — as well as the challenges that may separate one generation from the next. Marketers like to assign certain traits to different generations to help them think through strategies. While generalities may be helpful, they're not universal. Intergenerational conversations can help shatter assumptions and bring people of different ages together. The events sponsored during Intergeneration Month spawn unlikely friendships because they bring people together who might not otherwise come in contact with each other. There are countless stories of unlikely friendships being established because of Intergeneration Month activities.